IT MAY BE VERY TEMPTING to think that the increasing presence of China in Africa is all about development. And, why not, when new railways, roads, airports, hospitals, schools or stadia have been built across the continent with help from China? Or, what happens after it has been affirmed by many that China has become Africa’s biggest trading partner? However, the trade has been described as asymmetric, especially with China importing enormous quantum of petrol from Africa but limited quantity of other commodities, mostly resource-based. In 2010 crude oil formed 70 per cent of all Africa’s exports to China, with another 15 per cent of exports being raw materials. China’s economic slowdown and the new emphasis on renewable energy will likely keep oil export from Africa to China very low for a long time to come and this reduction in import by China may become irreversible. In Ethiopia and outside it, the multibillion‐dollar contracts to Chinese telecommunications multinational equipment manufacturers Zhongxing Telecommunications Equipment (ZTE) Corporation and Huawei Technologies have received attention on the implications of Sino‐Ethiopian partnerships in Ethiopian telecommunications from a critical political economy perspective. China’s engagement has attracted mixed reactions and some concern about its security implications. 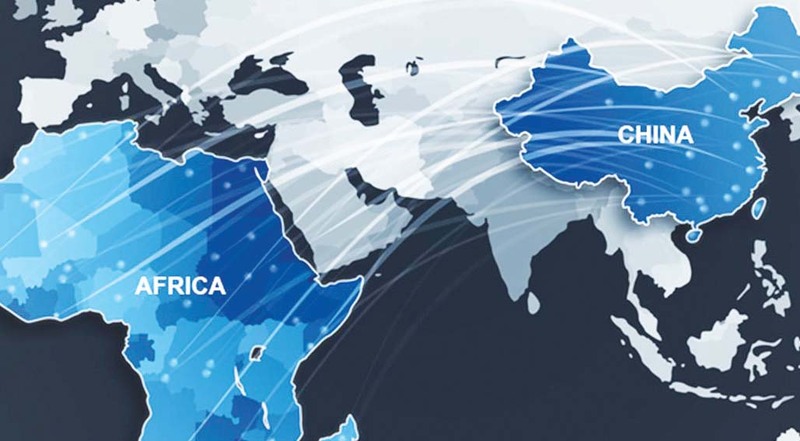 A 2008 report of the Columbia School of International and Public Affairs came to the conclusion that the country’s engagement in the African telecommunications infrastructure has accelerated general development “to a degree that would otherwise have been impossible.” It was reckoned, however, that China is accused of failing to create local jobs, flooding markets with poor quality goods, devastating local industries, securing contracts through outright bribery and turning a blind eye to human rights abuses in countries such as oil-rich Sudan or diamond-rich Zimbabwe. Like Sri Lanka, Djibouti faces the risk of handing over some of its key assets to China. Djibouti partnered with China Merchants Ports Holdings Company, (CMPort) to build the Doraleh Multipurpose Port, which was completed in May 2017. In August, Djiboutian President Ismail Omar Guelleh described the new Djibouti International Free Trade Zone, a $3.5 billion venture with China, as a “hope for thousands of young jobseekers.” But, quite worrisome is the fact that Djibouti hosts China’s first military base in Africa, a pointer to the unspoken underlying motive for China’s eagerness to support Djibouti’s infrastructure project through loans. The base, it is surmised, will provide China a foothold at the Bab el-Mandeb Strait, a strategic chokepoint in international maritime trade. About four per cent of the global oil supply passes through this waterway connecting the Gulf of Aden with the Red Sea each year. So, is the picture now getting clearer? According to a commentator, “One concern is that the Djibouti government, facing mounting debt and increasing dependence on extracting rents, would be pressured to hand over control of Camp Lemonnier to China.” Although this may add to China’s reputational risk, what does it matter in the end? The magazine contended that the contracting process has also been problematic, with Ethio Telecom having cancelled deals with ZTE … over their performance. But many worry that the deals with Huawei and ZTE have left Ethio Telecom excessively dependent on China and on Chinese technology. “The system is not ours – it’s Chinese,” the magazine quoted a technician as saying. “All the nitty-gritty: they know it, we don’t. So we always need their support.” The magazine pointed out that this was confirmed by Alemayehu Geda, the Addis Ababa University economist, when he studied Chinese involvement in the telecoms sector back in 2010. “What we found was there was literally no technological or knowledge transfer,” Geda reportedly said. This makes expansion abroad a difficult, possibly fanciful, proposition. The Forum on China Africa Cooperation (FOCAC) has turned out to be Beijing’s most important home diplomatic event for wooing Africa. It is an extension of the Belt and Road Initiative, increasingly becoming unpopular for the associated debt traps. The debt deal has intensified some of the harshest accusations about former President Xi Jinping’s signature Belt and Road Initiative, carried on by his successor Xi Jin Pin: that the global investment and lending programme amounts to a debt trap for vulnerable countries around the world, fuelling corruption and autocratic behaviour in struggling democracies. The first major loan Sri Lanka took on the project came from the Chinese government’s Export-Import Bank, or Exim, for $307 million. But to obtain the loan, Sri Lanka was required to accept Beijing’s preferred company, China Harbour, as the port’s builder. That is a typical demand of China for its projects around the world, rather than allowing an open bidding process. Last year, Pakistan also reportedly pulled plug on a dam deal over China’s ‘too strict’ conditions in latest blow to Belt and Road plans. Islamabad rejected the terms as being ‘against our interests’ days after Nepal cancelled another major infrastructure project. In that deal, Pakistan has decided to cancel a $14 billion infrastructure agreement with China because it could not accept the hyper strict conditions, local media reported, a major setback to Beijing’s overseas ambitions. The decision comes only a few days after Nepal called off a $2.5 billion hydropower plant awarded to a Chinese state-owned company, which was also part of the Belt and Road Initiative. This year, however, sources directly involved in talks over the future of Chinese-backed projects in Malaysia said the country’s leader, Mohamad Mahathir, is absolutely firm on permanently cancelling the $20 billion East Coast Rail Link and two natural gas pipelines worth $2.3 billion. The high-speed rail project between Kuala Lumpur and Singapore – a multibillion-dollar project still to be awarded – has attracted interest from Chinese enterprises. On its part, Myanmar has significantly reduced its investment in China, and the number of 10 berths is reduced to two. Few months ago, in August specifically, Myanmar’s Deputy Minister of Finance, Wu Seung, revealed concerns about falling into the so-called “debt trap.” He said that the original plan for the floating port was to build about 10 berths in the 25-metre-deep seaport for tanker docking, but it will now be adjusted to two berths. There are indications that the Myanmar government will not provide sovereign guarantees for any loans to the project. He added that as Myanmar is seeking to hire an international consulting firm to review costs, the timetable for the floating port project may be delayed by several months. Achieving sustained growth will require African countries, particularly in sub-Saharan Africa, to diversify exports and move from being pure exporters of raw materials to processing or otherwise adding value to those raw materials. It may be futile to expect any sudden or massive support from China to transform the African commodity value chains. The reality is that China’s benevolence goes along with official grandstanding. Here is what African leaders need to watch out for. Agriculture and fisheries sector could become a casualty of the China-Africa trade relationship. The African continental territorial waters may become bargaining chips as there are concerns about China’s aggressive moves to control maritime trade from the South China Sea to the Indian Ocean. Markets, for the time being, seem to be ignoring these risks. It seems logical to fear that China, in the near future, may hold land ownership and become major agricultural commodity producer in Africa. Not much is heard about leadership engagement in addressing these various concerns, which is not surprising because China itself operates dictatorial leadership and abhors democracy, participatory governance or contested leadership positions. Africa needs to use the AfCFTA to advance its trade opportunities and diversify its risk portfolios. One of the ways to do that is by not leaning too heavily on China. A substantial proportion of export from Africa to China, for instance, is in petrochemical; this proportion is shrinking as a result of slowdown in China’s demand, now complicated by the global quest for renewable energy sources. Africa therefore has to look east with great caution and vigilance. The continent must not test the depth of China’s water with both legs. Africa, financial inclusion and small enterprise: what prospects?